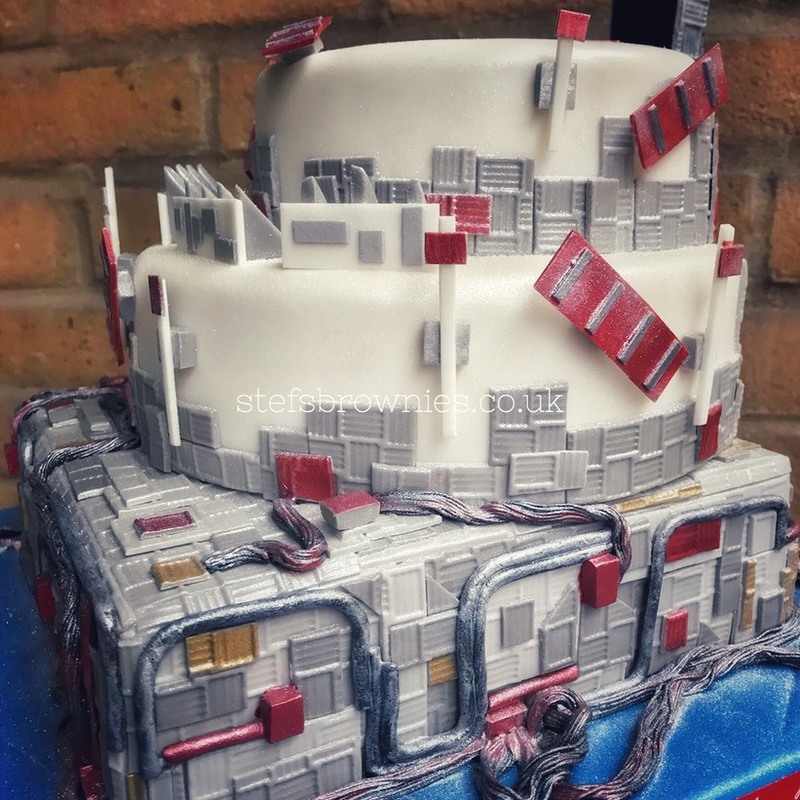 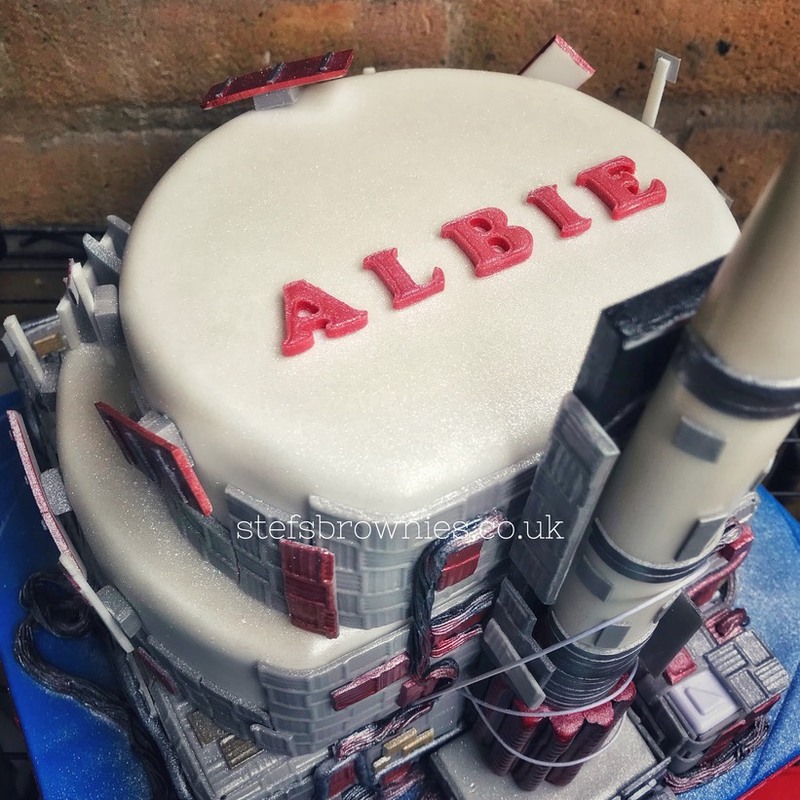 #ProjectA4MC - Rocket themed cake with talking cube. 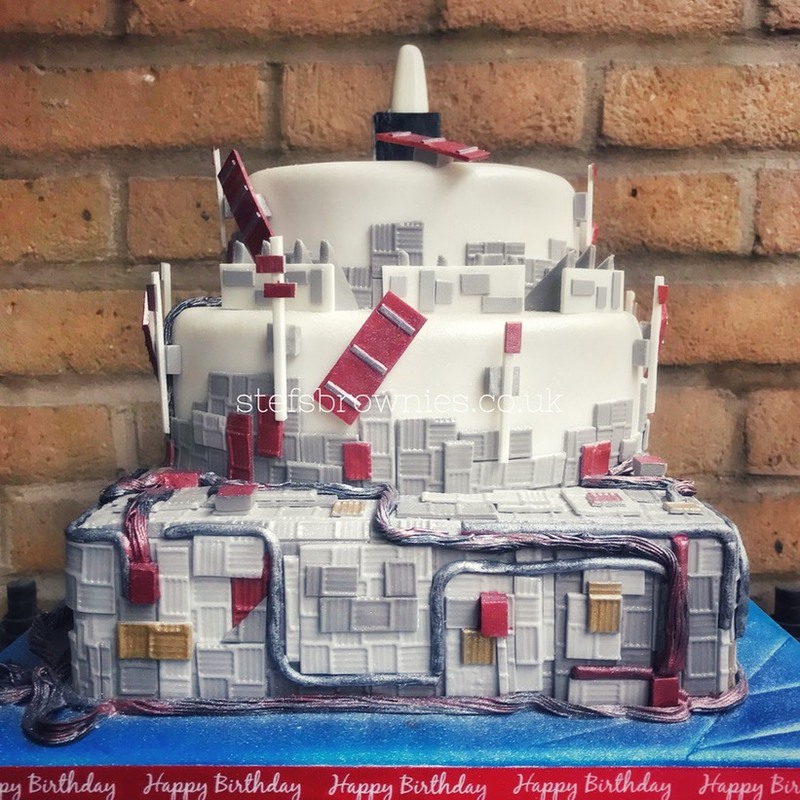 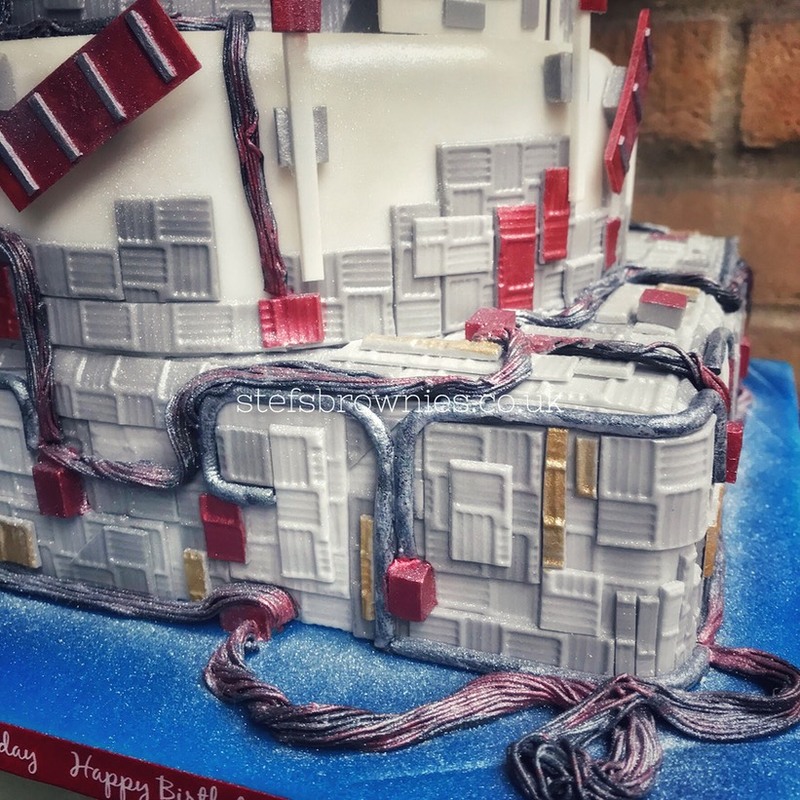 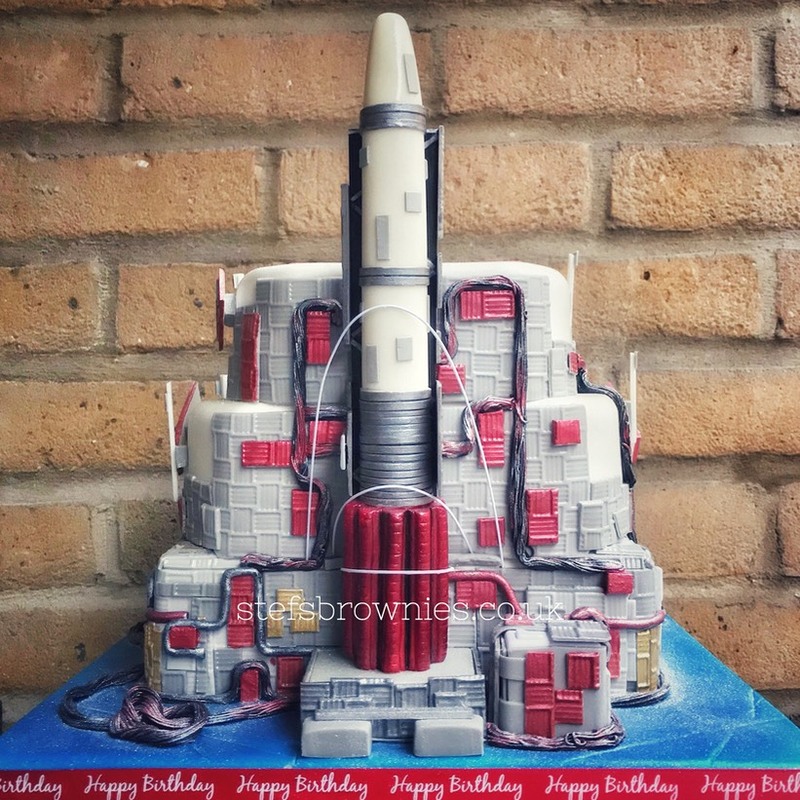 The rocket has been constructed and attached in such a way that it could be removed from the cake to be kept as a souvenir. 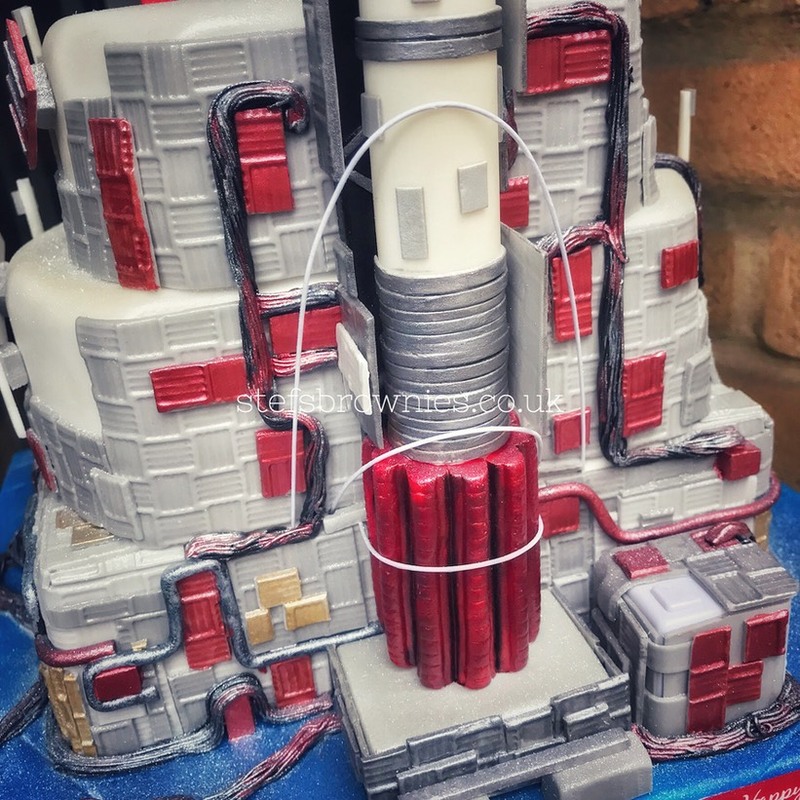 The talking cube attached to the right of the rocket is activated with a press of the button.